High velocity technology enables faster swing for greater impact. Anti-Vibe? 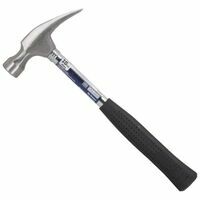 technology isolates vibrations to the hammer's head, minimizing strain on your arm. Precision balanced head for user comfort and control.